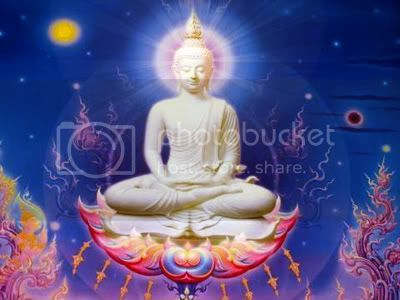 A radical in his beliefs, the Buddha refused to compromise. The Buddha’s last lesson was for humane work | Originally an editorial in the September 2003 edition of ANIMAL PEOPLE NEWS, a sister publication dedicated to public education and mobilization on ecoanimal issues. Specially adapted for presentation at The Greanville Journal. IN 2003 THE ANIMAL PEOPLE EDITORIAL TEAM traveled in China and met with many of the people who are building pro-animal institutions in the world’s most populous nation. They visited the Animals Asia Foundation sanctuary for rescued bile farm bears in Chengdu, and joined delegates from throughout Asia at the Asia for Animals conference in Hong Kong. Hosted by the Hong Kong SPCA, Asia for Animals focused on dogs and cats, but dogs and cats are eaten in many parts of Asia, while the Severe Acute Respiratory Syndrome epidemic of 2002-2003 established the relationship of live markets selling dogs, cats, and wildlife as meat with the spread of human disease. Any discussion of humane work inevitably circles back around to the first and biggest of all humane issues, and perhaps of all ethical issues: killing animals for meat. “History’s first ideological and philosophical argument may have been the conflict between vegetarianism and carnivorism, depicted in the rivalry between Cain and Abel,” wrote Richard Schwartz in Judaism & Vegetarianism (1988). The vegetarian Cain eventually murdered Abel, the herdsman favored by God. Scribes and scholars have struggled over interpretations of the allegorical story ever since, while affirming the importance of the ethical issues it raises by including versions in Jewish scripture, the Christian “Old Testament,” and the Quram. 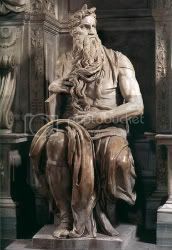 Moses appears to have retained leadership of the Hebrews by bringing forth a set of Ten Commandments which omitted explicit mention of animals in declaring “Thou shall not kill,” while introducing as part of “Mosaic Law” a set of rules for humane slaughter and the care of work animals. In effect, Moses may have introduced the compromise accepted by most humane institutions ever since. He may have agreed that animals could be eaten if they were raised and killed “humanely” because this was the most he could convince others to accept. The Brahmins, who were perhaps also refugees from Egypt, in comparably ancient times appear to have introduced abstention from meat to India as a central tenet of upper-caste Hinduism. When Brahmin teachings were corrupted by the continued practice of animal sacrifice among tribal peoples they conquered, Mahavir and Sidhartha Gautama Buddha founded Jainism and Buddhism as vegetarian Hindu reform movements. Reconciliation of Buddhism with meat-eating came long after the Buddha’s own time and far from his homeland, where followers remembered more vividly that he was killed when someone slipped a morsel of pork into his begging bowl. The symbolism of that incident is relevant today to animal advocates of every religion, or none. The point the Buddha made by his death, however accidental, is that if an animal advocate accepts eating meat in any form, that ethical compromise can ultimately poison the cause. If animals may be killed for meat, for example, it is difficult to argue that it is unethical to kill animals in experiments which might benefit millions of people and some animals too. If animals may be killed for meat, certainly it is not more harmful or disrespectful of their lives to use them for entertainment, or to wear their hides and pelts. If any of this may be done with animals of one species, why not with animals of other species? Why not with humans? Troubled by such questions, but reluctant to risk alienating donors, the secular humane societies of recent times have mostly compromised, like Moses, sacrificing moral clarity to institutional pragmatism. Formed in 1824, the London SPCA in 1832 foreshadowed the direction of the cause for nearly 200 years by ousting Jewish financial saviour Lewis Gompertz because he urged that SPCA functions be vegetarian. Then, having attracted the broader support that the meat-eaters feared Gompertz would alienate, the organization in 1840 became the Royal SPCA by in effect giving up opposition to vivisection to win a royal charter. That created openings for the rise of the next generation of British animal advocacy groups, including the National Canine Defence League, now a world leader in promoting dog-and-cat welfare but originally an anti-vivisection society. Causes grow by developing institutional influence; becoming corrupted, at least in the vision of the most determined reformers; splitting, and eventually revitalizing themselves. Critical to understand, in either building or revitalizing a cause, is that a reformer succeeds to the extent that the reformer is able to make the public feel uncomfortable enough about abuse and injustice to seek the creation, improvement, or replacement of institutions. A reformer is thereby an instrument of social instability. Institutions, however, even when built by reformers, do not actually exist to solve the problems that motivate reformers. Rather, institutions exist to alleviate the discomfort that afflicts society as result of the work of reformers. The central purpose of any institution is to restore and maintain social stability. Moses perhaps gave us an early example of pragmatism. hrough pretending that something is being done about the problems, whether that is true or not. Reformers are by nature radical; institutions are conservative. Radicals serve ideal visions; institutions serve reality. Thus, in the name of reality, the American Humane Association and American SPCA during the 1890s gave up opposition to sport hunting (and later, to use of shelter animals in research) to gain, respectively, the franchise to operate orphanages for New York state and the New York City animal control contract. These economically stabilizing deals lasted until 1950 and 1994. The late Cleveland Amory cofounded the Humane Society of the U.S. in 1954 in hopes of forcing the AHA and ASPCA to retract their endorsement of the use of shelter animals in research, as they eventually did. Amory meanwhile started the Fund for Animals in 1968 to oblige both organizations and HSUS to stand up against sport hunting. Amory won that struggle, too, and along the way came to a critical realization. Decades before Amory died in 1998, he understood that even though he himself never succeeded in becoming a vegetarian, and even though the Fund has little direct involvement in dietary issues, Fund policy and Fund events had to eschew meat-eating, as the first and strongest defense against loss of moral leadership. Amory endorsed the adoption of vegetarianism as a central goal of the animal rights movement and agreed with ANIMAL PEOPLE that humane societies should not serve meat at public functions, as a gesture toward integrity, even if every member eats meat at every meal at home. Humane society directors and board members who fear losing donor support if they quit serving meat at public events might note the fundraising success of the San Francisco SPCA, raising $11.5 million per year, and Best Friends, which raised $15.7 million last year. The SF/SPCA has officially practiced and promoted vegetarianism for approximately ten years; Best Friends has been stalwartly vegetarian from inception. The Richmond SPCA, of Richmond, Virginia, has not been nearly that brave, but did quietly de-emphasize meat during a recent three-year series of weekly luncheons that raised $14.2 million to build a new shelter and bankroll an effort to make Richmond the first no-kill city in the U.S. South. The fundraising achievement is especially noteworthy because Richmond is a third the size of San Francisco and much less affluent. Unlike the SF/SPCA and Best Friends, the Richmond SPCA is not nationally prominent, and does not have a support base extending beyond just a few miles up the Shenandoah Valley. Neither is Richmond noted for warmly receiving change. The last time anyone led a revolution in Richmond may have been during the 1863-1865 struggle remembered locally as the War Between the States. Fought in a futile effort to preserve slavery, that war remains fresh in memory in the Shenandoah Valley. The American SPCA, Massachusetts SPCA, Pennsylvania SPCA, and Women’s Humane Society of Philadephia were all begun soon afterward by Abolitionists who extended their concerns to animals, but the first “humane society” in Richmond may have been the insane asylum for depressed and destitute ex-slaveowners depicted by Ross Lockridge Jr. in his 1948 novel Raintree County. The character played by Elizabeth Taylor in the 1957 film Raintree County briefly inhabited the asylum, but she cannot quite be claimed as a fictional Richmond SPCA alumnus because the present humane society was formed a generation later, in 1891, albeit with overlapping community support. Knowing that local controversies may smolder for generations, and already under bitter attack from traditionalists for moving toward no-kill sheltering, Richmond SPCA executive director Robin Starr did nothing to draw attention to her de-emphasis of meat. She also compromised considerably. “We served no red meat,” Starr told ANIMAL PEOPLE. “Most of the meals were fish. Some were vegetarian, and a few were chicken.” As ANIMAL PEOPLE has often pointed out, the universe of suffering is greatly expanded instead of reduced, if in lieu of eating one pig or cow, people eat more than 100 chickens or fish. In ecological terms, raising the chickens or catching the fish is far more harmful. Yet meat-eaters tend to perceive giving up red meat as a first step toward giving up meat entirely, and vegetarian converts often go through a phase of eating fish or chicken instead of red meat before becoming vegetarians in earnest. Wholly meatless meals could still become controversial in Richmond, and Starr is anxious about the possibility. Her experiment with de-emphasizing meat, however, was a resounding success. Week after week, instead of asking anyone to make a donation on the spot, Starr gave her guests donation envelopes to take home. The SF/SPCA is noted for raising 25% more money per city resident than the U.S. norm­­but the donation envelopes returned to the Richmond SPCA 33% more per city resident than even the SF/SPCA brings in. Though concerned in day-to-day work almost exclusively with dogs and cats, the Richmond SPCA embraces as its mission “leading the way for the South in a new standard for compassionate treatment of animals,” meaning all animals. In Richmond the example as regards eating animals remains inconsistent, but Starr recognizes the imperative implicit in the no-kill philosophy that no sentient being should be treated as a mere commodity. The influential No Kill Conference series of 1995-2001 featured meatless meals from the start, and so has the Conference on Homeless Animal Management & Policy (CHAMP), succeeding it. Though some of the organizers and sponsors are vegetarians, some are not; but even among those who are not, there seems to be unanimous agreement that killing animals should not be part of advancing the idea of compassion for animals. Under the direction of Richard Avanzino, 1976-1998, the SF/SPCA led a successful national drive to abolish animal killing by decompression, and in 1994 San Francisco became the first U.S. no-kill city, but in the 1950s the attitudes of major humane organizations toward farm animals and companion animals appear to have differed mainly as regards the disposal of remains. Farm animals were to be eaten, while longtime Massachusetts SPCA education officer William Allen Swallow postulated in The Quality of Mercy, a 1963 “history of the humane movement in the United States,” that the future of the cause would be running pet cemeteries. There were contrary voices, including E.B. White, who published the anti-meat children’s classic Charlotte’s Web in 1952; Elizabeth Lewyt, who with friends cofounded the no-kill North Shore Animal League in 1954; Walt Disney, whose 1955 animated feature Lady & The Tramp exposed the plight of homeless dogs and cats more vividly and realistically than any previous screen treatment; and Alice Harrington, who founded Friends of Animals in 1957 to operate the first low-cost pet sterilization program in the U.S.
All, however, were so far outside the mainstream that Swallow mentioned none of them, even though in retrospect they were perhaps the most presciently influential animal advocates of their era. Merritt Clifton is perhaps the single most authoritative and well-known writer and correspondent on animal issues today. He serves as editor of ANIMAL PEOPLE NEWS (AP) [http://www.animalpeoplenews.org/], an independent publication which he co-founded in 1992 with Kim Bartlett, also a legendary activist and writer in the international animal defense arena. Kim is currently AP’s publisher and head of its informal “incubator” effort. Patrice Greanville, also an animal activist, founder of Cyrano’s Journal Online, and editorial director of The Greanville Journal, serves as the third member of the board on AP, and also as its head for web operations. In the past decade, ANIMAL PEOPLE has been instrumental in founding and coaching humane groups around the world. Because of its seriousness and commitment to the highest standards of reportage on ecoanimal questions, and to activism, often against long odds, AP has earned the respect of audiences in many nations. Posted in CJ'S OpEds, IDEOLOGICAL COMBAT. As a Spanish activist I am grateful for the historical perspectives in this article which I will be distributing at our next meeting in Malaga and to our affiliated organisation in Valencia. There’s much to think about here. It seems to shew that the work of both radicals and reformers is needed, but, in my view, it is the radicals that give meaning and vision to a movement.